Professor Baumgartner's research interests are in the areas of consumer behavior and research methodology. Substantively, his research is concerned with how consumers form judgments about objects and events and how these judgments influence actual behavior. 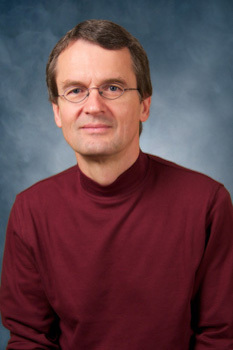 He has conducted research on this topic in the following five areas: extensions and modifications of the theory of reasoned action (e.g., the role of state- vs. action-orientation in consumers' coupon usage behavior); emotional influences on consumer behavior (e.g., effects of the retrieval of emotionally charged autobiographical memories on ad and brand judgments); goal-directed consumer behavior (e.g., goal-directed emotions as a motivational influence on weight control); optimum stimulation level and exploratory consumer behavior (e.g., conceptualization and measurement of exploratory consumer behavior); and judgments of quality, value, and satisfaction (e.g., the role of consumption emotions in the satisfaction response). Methodologically, his research has focused on the use of structural equation modeling in marketing, cross-cultural measurement issues, and citation analysis. Current research projects include the following: goal-relevant extraneous affect and persuasion; an extended paradigm for measurement analysis applicable to panel data; the impact of response styles on survey responses; measurement invariance in cross-cultural consumer research; typologies of consumer purchase decisions. Application of behavioral science concepts to the understanding of buyer behavior as a basis for marketing management decision making. Baumgartner J., Weijters B., Pieters R., "Misresponse to Survey Questions: A Conceptual Framework and Empirical Test of the Effects of Reversals, Negations, and Polar Opposite Core Concepts." Journal of Marketing Research, 2018. Stadler Blank A. M., Koenigstorfer J., Baumgartner J., "Sport Team Personality: It's Not all About Winning!." Sport Management Review, vol. 21, no. 2, 2018, pp. 114-132. Weijters B., Cabooter E., Baumgartner J., "When Cheap Isn't the Same as Not Expensive: Generic Price Terms and Their Negations." Journal of Consumer Psychology, 2018. Weijters B., Baumgartner J., "Analyzing policy capturing data using structural equation modeling for within-subject experiments (SEMWISE)." Organizational Research Methods, 2018. Hulland J., Baumgartner J., Smith K. M., "Marketing Survey Research Best Practices: Evidence and Recommendations from a Review of JAMS Articles." Journal of the Academy of Marketing Science, vol. 46, no. 1, 2018, pp. 92-108. Lee S., Baumgartner J., Winterich K. P., "Did they earn it? Observing unearned luxury consumption decreases brand attitude when observers value fairness." Journal of Consumer Psychology, 2017. Baumgartner J., Weijters B., "Measurement Models for Marketing Constructs." (Springer International), 2017, pp. 259-295. Baumgartner J., Weijters B., "Methodological Issues in Cross-Cultural Research." (Springer International), 2017, pp. 169-190. Baumgartner J., Weijters B., "Structural Equation Modeling." (Springer International), 2017, pp. 335-360. Weijters B., Puntoni S., Baumgartner J., "Methodological Issues in Cross-Linguistic and Multilingual Advertising Research." Journal of Advertising, vol. 46, no. 1, 2017, pp. 115-128. Gunasti K., Baumgartner J., "The Asymmetric Effects of Positive or Negative Experiences with an Extension on Low- or High-Equity Parent Brands: A Microtheoretical Notion." Customer Needs and Solutions, vol. 3, 2016, pp. 126-143. Weijters B., Baumgartner J., Geuens M., "The Calibrated Sigma Method: An Efficient Remedy for Between-Group Differences in Response Category Use on Likert Scale." International Journal of Research in Marketing, vol. 33, 2016, pp. 944-960. Koenigstorfer J., Baumgartner J., "The Effect of Fitness Branding on Restrained Eaters’ Food Consumption and Post-Consumption Physical Activity." Journal of Marketing Research, vol. 53, no. 1, 2016, pp. 124-138. Baumgartner J., Weijters B., "Response Biases in Cross-Cultural Measurement." (Oxford University Press), 2015, pp. 150-180, Invited. Weijters B., De Beuckelaer A., Baumgartner J., "Discriminant Validity Where There Should Be None: Positioning Same-Scale Items in Separated Blocks of a Questionnaire." Applied Psychological Measurement, 2014. Weijters B., Baumgartner J., Schillewaert N., "Reversed Item Bias: An Integrative Model." Psychological Methods, vol. 18, 2013, pp. 320-334. Weijters B., Geuens M., Baumgartner J., "The Effect of Familiarity with the Response Category Labels on Item Response to Likert Scales." Journal of Consumer Research, vol. 40, 2013, pp. 368-381. Baumgartner J., Weijters B., "Commentary on “Common Method Bias in Marketing: Causes, Mechanisms, and Procedural Remedies." Journal of Retailing, vol. 88, 2012, pp. 563-566. Weijters B., Baumgartner J., "Misresponse to Reversed and Negated Items in Surveys: A Review." Journal of Marketing Research, vol. 49, 2012, pp. 737-747. Baumgartner J., "Repetitive Purchase Behavior." (Springer Gabler), 2012, Invited. Baumgartner J., Pieters R., "Consumer Goals and Motivation." Richard P. Bagozzi and Ayalla A. Ruvio (Eds. ), Wiley International Encyclopedia of Marketing, Vol. 3, edited by Richard P. Bagozzi and Ayalla A. Ru, vol. 3, 2011, pp. 196-203, Invited. Baumgartner J., "Structural Equation Modeling." Wagner A. Kamakura (Ed. ), Wiley International Encyclopedia of Marketing, Vol. 2, edited by Wagner A. Kamakura, vol. 2, Wiley, 2011, pp. 262-274. Yi S., Baumgartner J., "Coping with Guilt and Shame in the Impulse Buying Context." Journal of Economic Psychology, vol. 32, 2011, pp. 458-467. Baumgartner J., "A Review of Prior Classifications of Purchase Behavior and a Proposal for a New Typology." vol. 6, 2010, pp. 3-36, Invited. Baumgartner J., "Bibliometric Reflections on the History of Consumer Research." Journal of Consumer Psychology, vol. 20, 2010, pp. 233-238. Steenkamp J., DeJong M., Baumgartner J., "Socially Desirable Response Tendencies in Survey Research." Journal of Marketing Research, vol. 47, 2010, pp. 199-214. Bosmans A., Pieters R., Baumgartner J., "The Get Ready Mindset: How Gearing Up for Later Impacts Effort Allocation Now." Journal of Consumer Research, 2010. Baumgartner J., Pieters R., "Goal-Directed Consumer Behavior: Motivation, Volition and Affect." Handbook of Consumer Psychology, 2008, pp. 367-392. Baumgartner J., Pieters R., Bagozzi R., "Future-Oriented Emotions: Conceptualization and Behavioral Effects." European Journal of Social Psychology, vol. 38, 2008. Yi S., Baumgartner J., "Motivational Compatibility and Anticipated Feelings." Psychology & Marketing, vol. 25, no. 11, 2008, pp. 1007-1026. De Jong M., Steenkamp J., Fox J., Baumgartner J., "Using Item Response Theory to Measure Extreme Response Style in Marketing Research: A Global Investigation." Journal of Marketing Research, vol. 45, no. 2, 2008, pp. 104-115. Grewal R. S., Cote J. A., Baumgartner J., "Multicollinearity and Measurement Error in Structural Equation Models: Implications for Theory Testing." Marketing Science, vol. 23, no. 4, 2004, pp. 519-529.